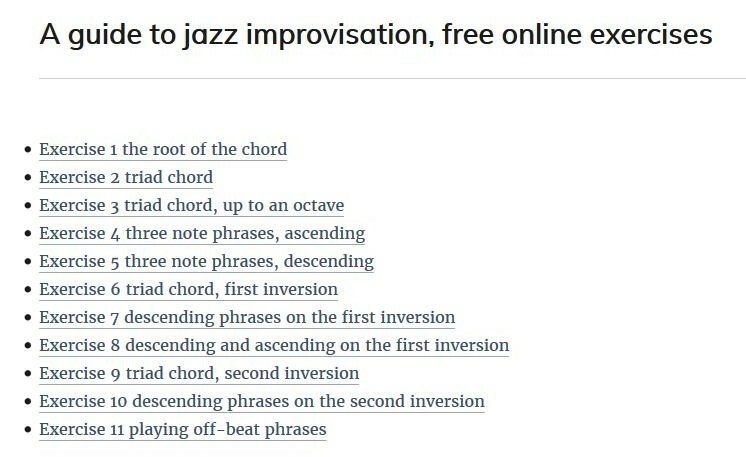 I have recently discovered a great new resource for learning to improvise on jazz tunes. 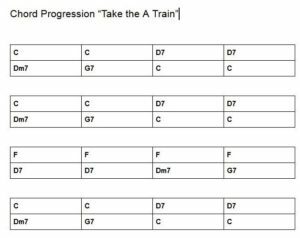 Leo Ravera has compiled a set of exercises based on the chord progression of Take the A Train. Those exercise are very well suited for the mandolin. 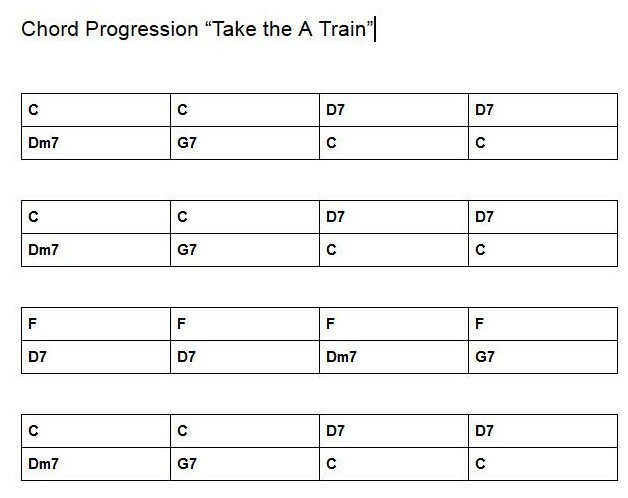 This is the chord progression of the song. You can play the exercises using the sheet music on the site and play all the notes in the first position. But there is another option. I propose to use the first finger for the root of every chord. You will need the following root notes: C, D G, F. The first finger needs to jump between the notes. You can play those notes on the 3rd and 5th frets of the D- and A-string. Or you can play the notes on the 5th and 7th fret of the G-string and the 3rd and 5tf fret of the D-String. If you do it like this you can play the same sequence of fingers again and again. 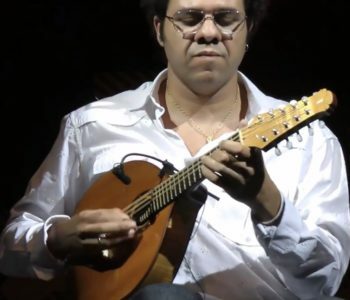 I have compiled a new playlist with Hamilton de Holanda and listened to this great Brazilian bandolim player during the last weeks. Hamilton plays alone, with piano or with bigger ensembles. He plays his 10-strings bandolim which has become very popular in Brazil during the recent years. Hamilton plays traditional choros, Brazilian Jazz and many of his own compositions. He is a fantastic, creative musician and composer, and he is travelling around the world with his music. Enjoy the music of Hamilton de Holanda! link collection Hamilton de Holanda – reviews, interviews, etc. “Gute Musik braucht keine Etiketten, um zu existieren”, sagt Hamilton de Holanda, der schon seit 33 Jahren vernarrt in den Bandolim ist, eine Weiterentwicklung der Mandoline. Laurindo Almeida was a Brazilian guitarist who was active in the USA after 1940. He worked in Hollywood as a studio musician and has played the guitar part in many movies. For his record Girl von Ipanema he won a Grammy in 1964. Laurindo Almeida is also seen as the father of the Bossa-Nova. He played together with the Modern Jazz Quartet, but he has also arranged many classical works for the guitar. I had several books with sheet music by Laurindo Almeida for years, and I have recently worked on some of the pieces. 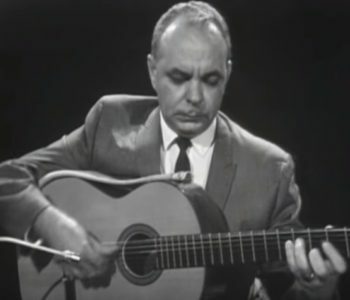 Almeida arranged some famous Jazz Standards for the classical guitar, like Blue Moon,Over the Rainbow, Mamselle, My Funny Valentine – some great arrangements for guitar. This is an English Air by Almeida in my version. I have found other videos of this tune which obviously play it from a different score which contains some errors. I think that my version must be the original version of this piece. I have recently compiled youtube videos with recordings by Laurindo Almeida and Works composed or arranged by Almeida and played by other guitarist in two large playlists. I have recently discovered a concert with Julian Lage which had been given on the 1st of January 2012. 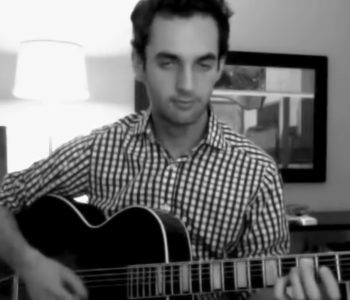 Julian Lage is a very successful young jazz guitar player, I have already written about him some time ago. I like the playing of Julian Lage very much, it’s fun to listen to his guitar. He plays a great selection of jazz standards and mostly his own compositions.